Stephan Mihacevich is a full time top producing real estate professional specializing in Destin, Florida real estate as well as Santa Rosa Beach, Sandestin, South Walton, Fort Walton Beach, Navarre, Niceville, and the entire Emerald Coast. Serving both USA & International customers and properties. I have been with Pelican Real Estate & Development Company, Inc. for my entire real estate career. Encompassing the entire Emerald Coast from Pensacola to Apalachacola, you are never far from our sugar white sandy beaches and breathtaking sunsets. 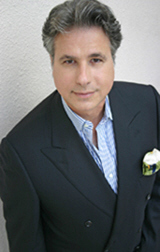 Whether your real estate needs include Gulf front homes or condominiums, Investment Real Estate Property (including 1031 Tax Exchanges), Home sites, or luxury properties, Stephan Mihacevich will pledge his honesty, loyalty, confidentiality, understanding, fairness and creativity in "Securing Your Real Estate Future."